The stuff that didn't fit. We have already eaten a lot from garden ! Very nice photo. 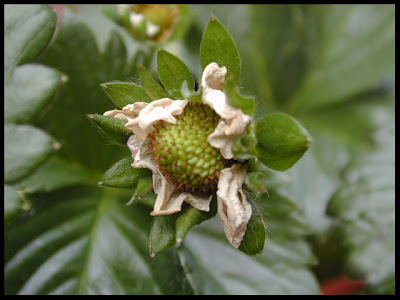 I have never seen a young strawberry. I'm Z and I maintain a daily photo blog about Villigen, Switzerland. This site is intended for those situations where I have multiple photos I want to share but don't feel it appropriate to post on my main blog which I try to keep streamlined.